Use your imagination to piece together what this petrol station might look like today in this Holdson Wasgij Destiny 17 1000pc puzzle. Remember the ‘good old days', when petrol was cheap and there were fewer cars on the road and an attendant would pump your fuel for you. They say some things never change, but what about the things that do? The puzzle holds the answer! 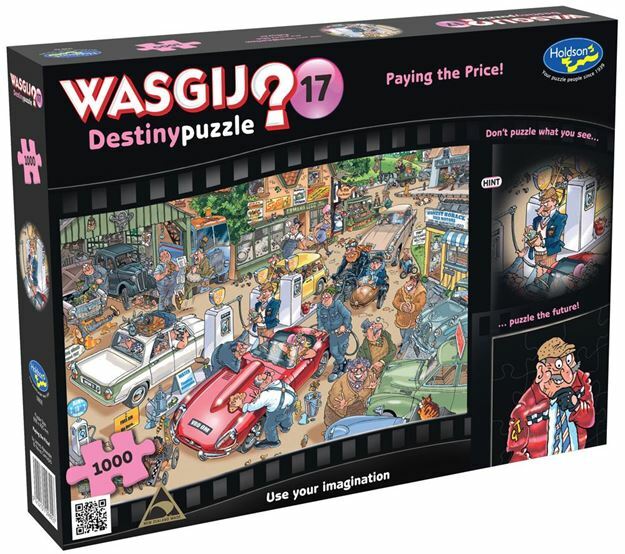 The picture on the box lid is not the puzzle; it is simply a clue to what the puzzle is! Age 8+ years. Made in New Zealand by Holdson. Approximate puzzle dimensions: 688mm x 493mm. Box size: 270mm x 370mm.